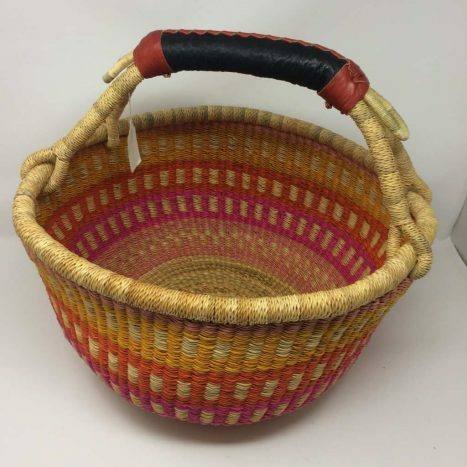 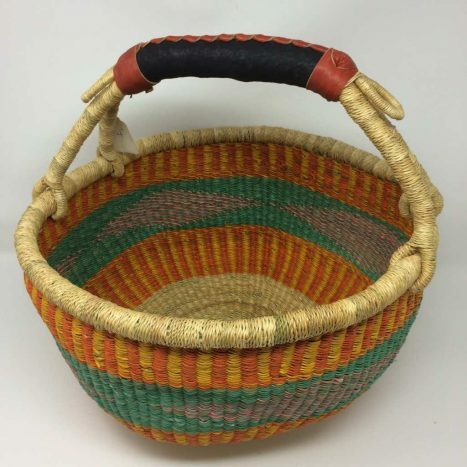 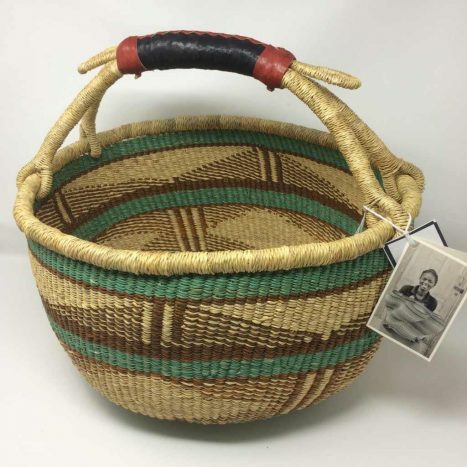 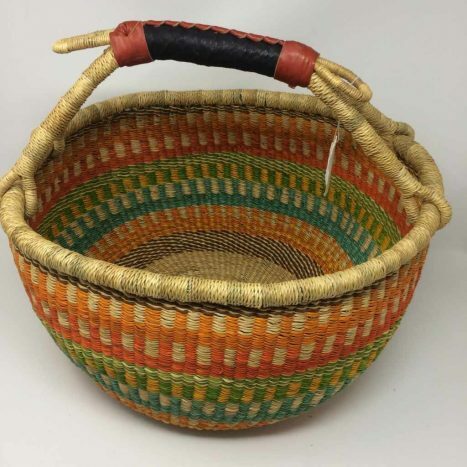 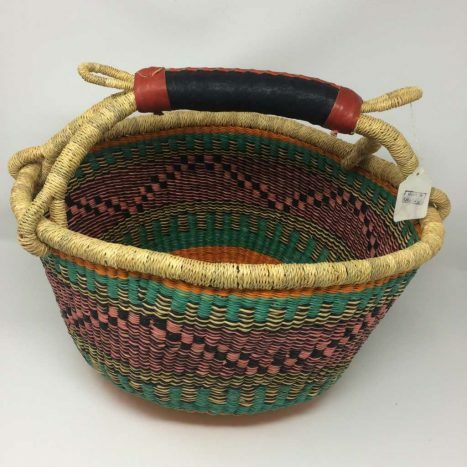 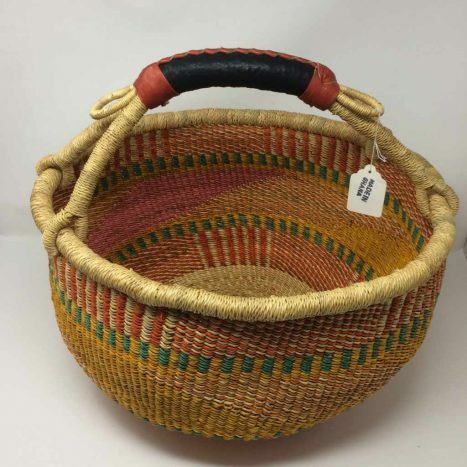 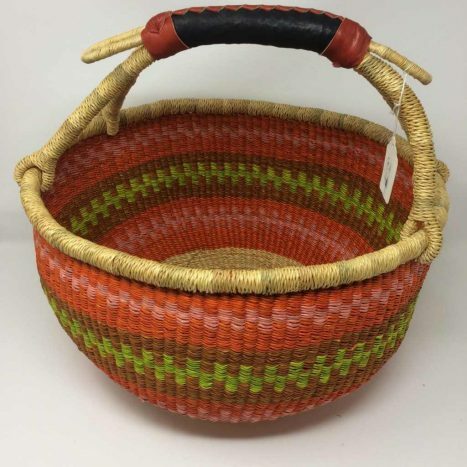 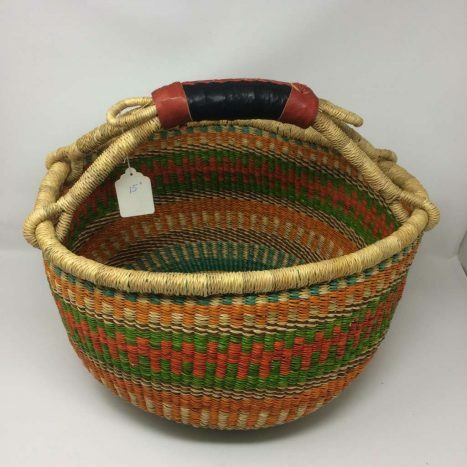 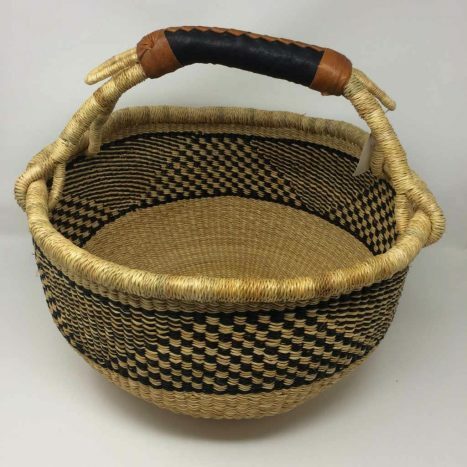 These large round Bolga Baskets vary in size from 14-17″ in diameter. 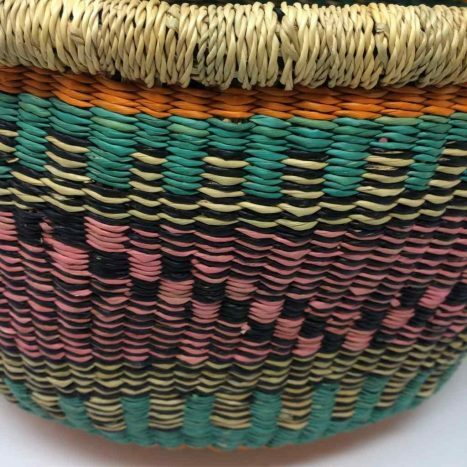 They make a great knitting or stash basket! 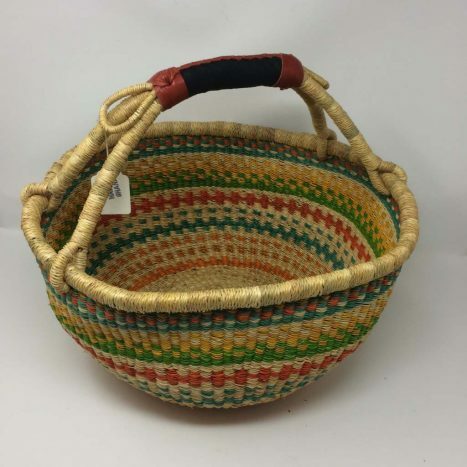 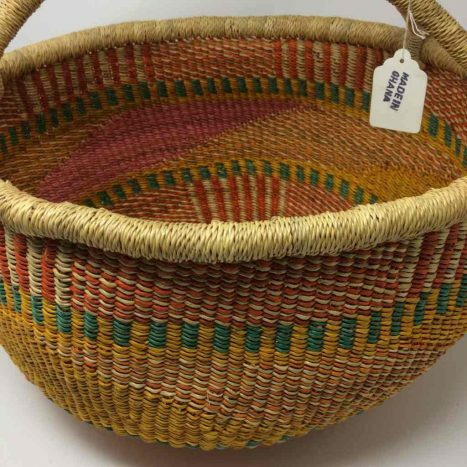 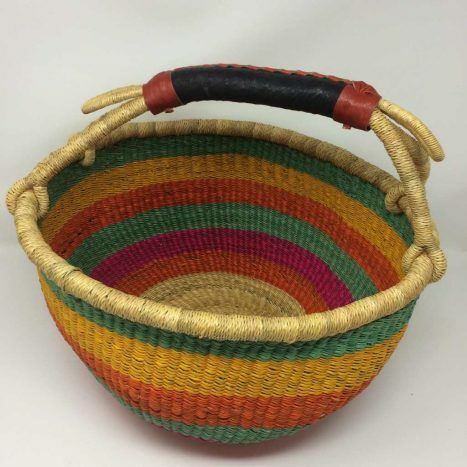 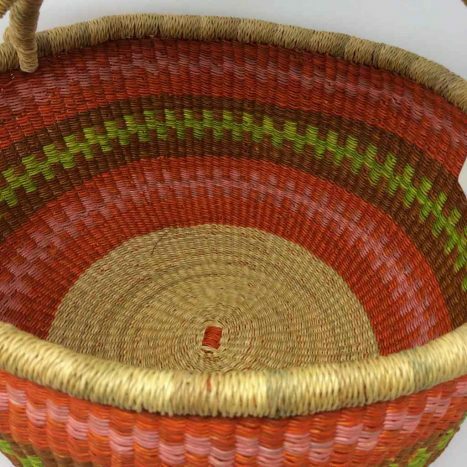 Made from all natural materials and woven in Bolga by Baba Tree’s incredible artisan weavers. 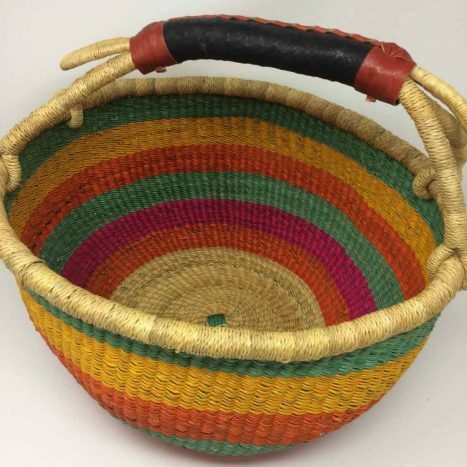 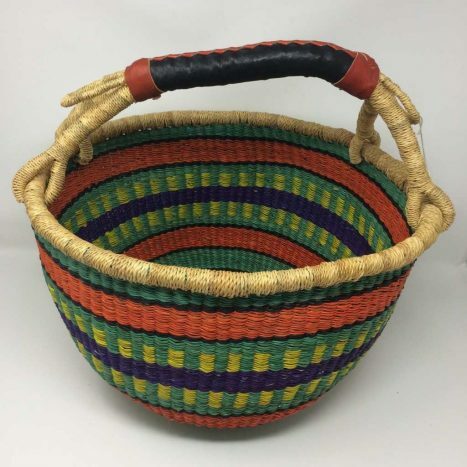 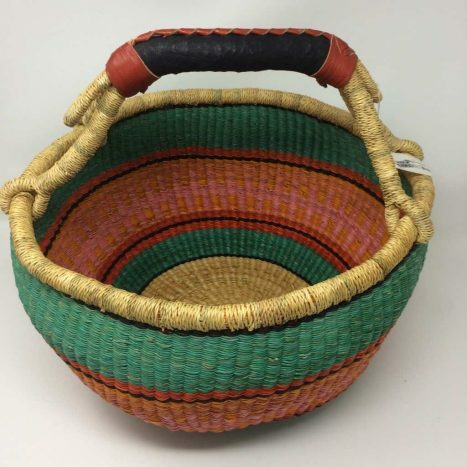 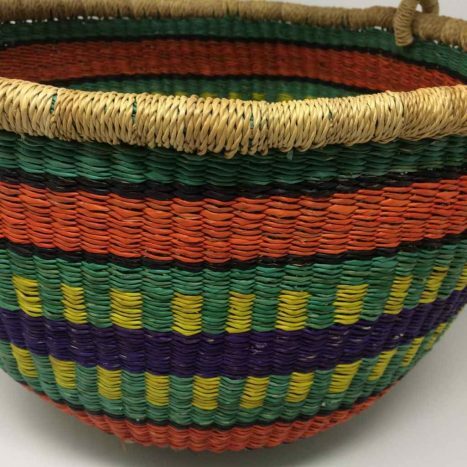 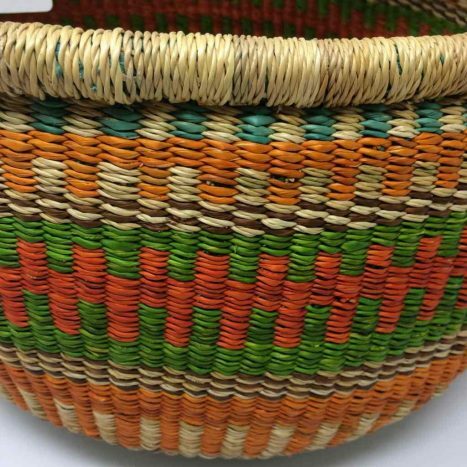 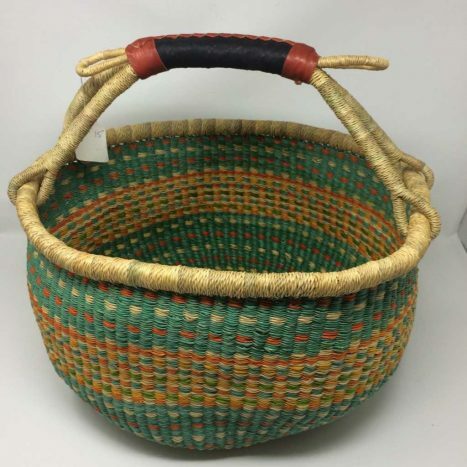 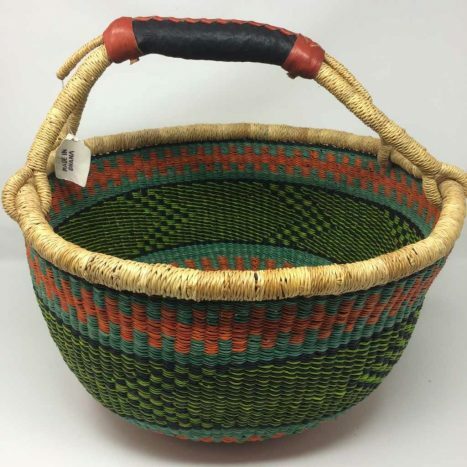 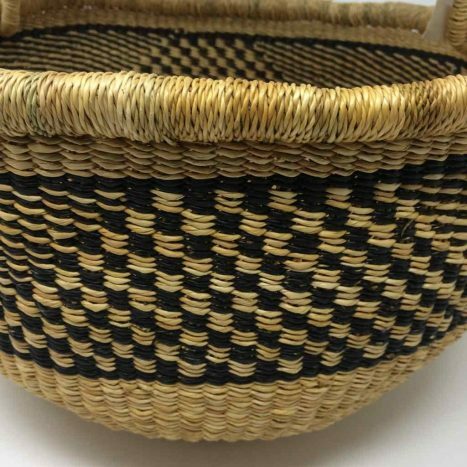 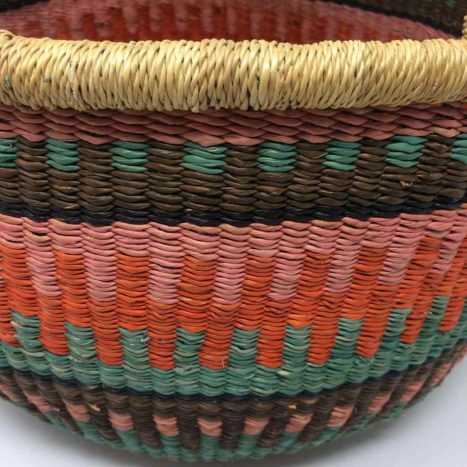 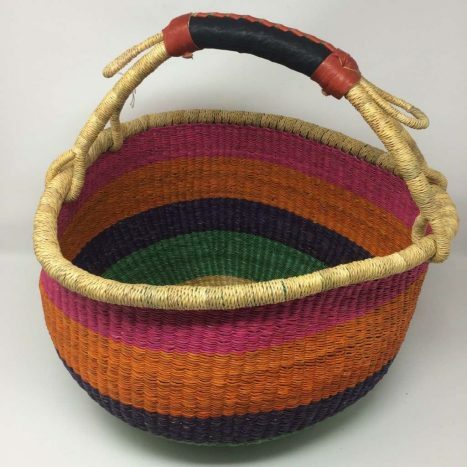 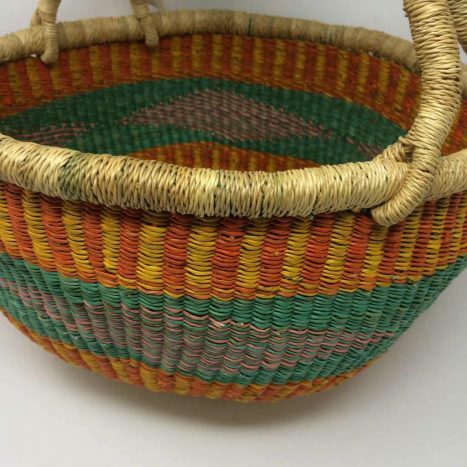 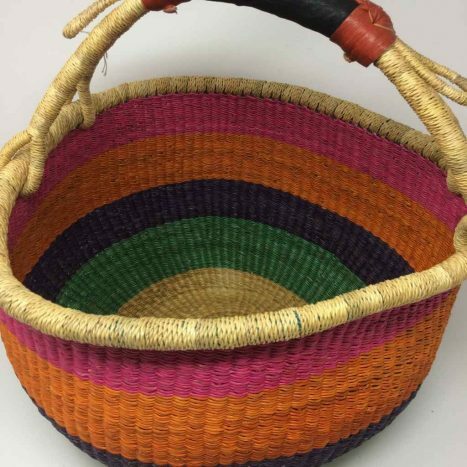 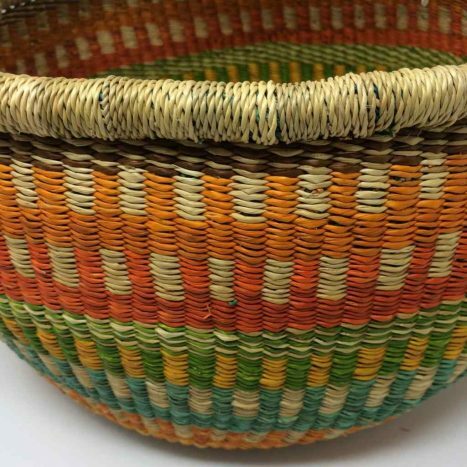 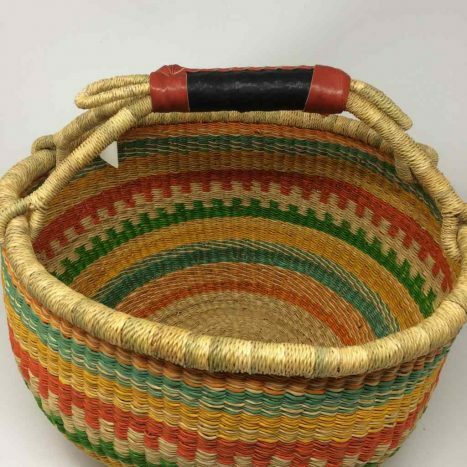 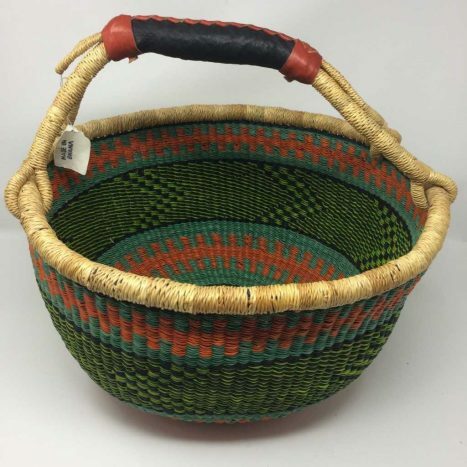 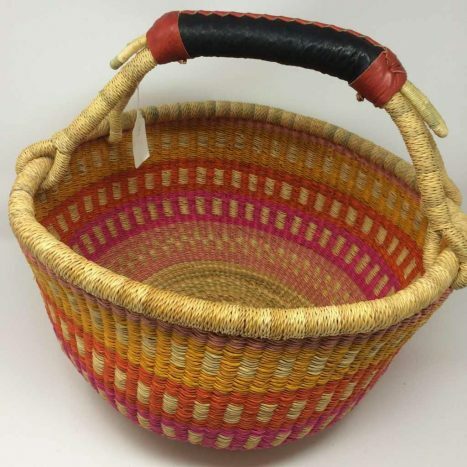 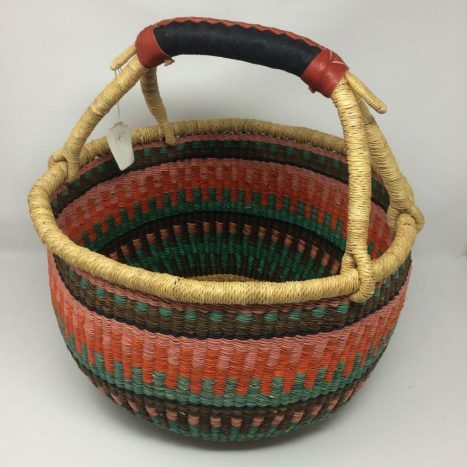 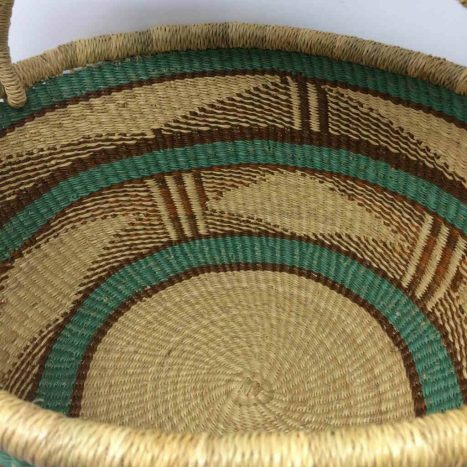 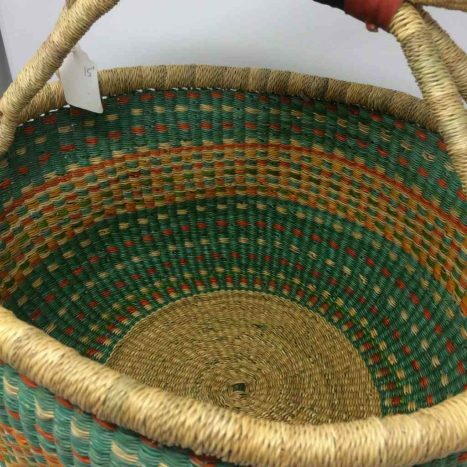 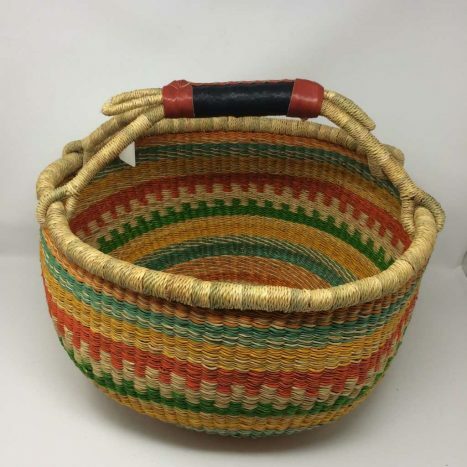 As far as we are aware, this is the design that launched the Bolga basket industry many years ago. 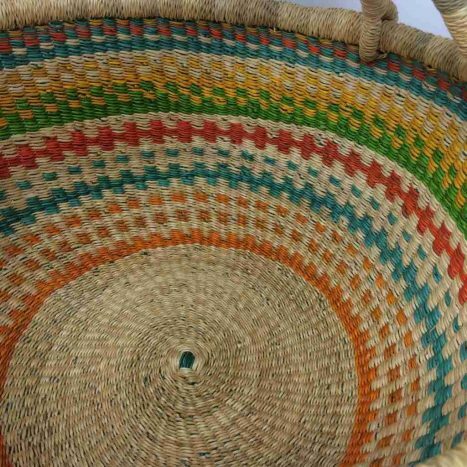 These genuine Baba Tree Round Baskets are, by far, the best that you will find anywhere. 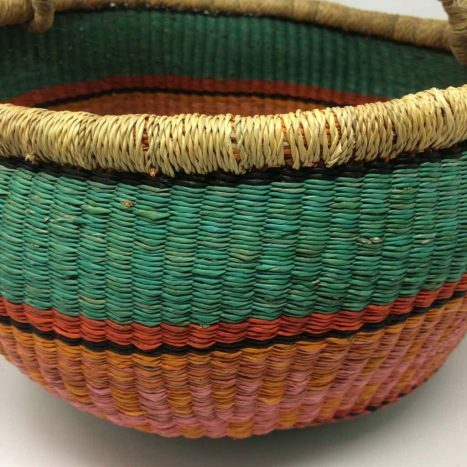 The handles are strength tested and there is a myriad of uses for these baskets.